With the recent news on ITunes supporting podcasts, a few thoughts. New readers of this blog might wonder why I’m mentioning podcasts … I haven’t said too much about podcasting here recently (since so many others discuss it already), but I’ve been keen on podcasting since it kicked off. I’ve seen a couple of mentions recently that the BBC’s enthusiasm for podcasts is about reducing their reliance on Real Audio. This made me think: how come radio websites have released content in Real and MS formats for years, but so few have simply placed MP3s on their site instead? MP3s have, for many years, been far more useful and play at the click of a link in much the same way as the other formats. Why no MP3s? A copyright issue? The MP3 patent? If so, I hate to break it to all these new podcasters what file format their podcasts are based on? **I’m all for podcasting – it’s vastly superior to just placing MP3s online – but I’m scratching my head as to why it took the introduction of podcasting to get all these broadcasters to provide plain old MP3s. The “Who Invented Podcasting” debate. Really quite a silly issue. Who invented anything? Dave Winer helped setup RSS, Adam Curry wrote a client to push audio into ITunes, Aristotle contributed to the scientific method which is necessary to develop new technology. See? No one person just turned up and invented podcasting. People have limited attention capacity and busy lives, so the media likes to present things that way, but that’s life. Adam was always going to be the man here – he introduced the first podcasting client and relentlessly pushed the whole concept by podcasting almost daily and grabbing plenty of media attention. Apologies if this seems cringeworthy, but it’s hard not to notice the link to Ajax. Plenty of people are now (predictably) complaining that it’s nothing new, which misses the point. Having an evocative name for something lets you form a community, debate about it, write about it, and so on. “Audioblogging” and “Dynamic websites” just didn’t fit the bill. An unexpected side benefit is that it will push speech-to-text and text-to-speech. Both extremely useful technologies. There’s a huge amount of information ready for audio format if only decent speech synthesis can be developed. These systems are early, but they’re at least present. Hopefully it won’t turn out like automatic language translation, which was amazing at first, but doesn’t seem to have gone anywhere in the past five years. Fowler’s original refactoring text was based on a number of patterns. So you have a refactoring like “Introduce Null Object” which is a direct mapping to the older “Null Object” pattern. Now there’s also Joshua Kerievesky’s “Refactoring to Patterns” book which makes the idea more explicit. And in a new interview with bill Venners, Erich Gamma makes similar comments. There are two themes here: pattern refactoring for education, and pattern refactoring for development work. I think what you should not do is have a class and just enumerate the 23 patterns. This approach just doesn’t bring anything. You have to feel the pain of a design which has some problem. I guess you only appreciate a pattern once you have felt this design pain. I remember coming across the JUnit cookbook a few years ago. It was the first design I’ve seen described as a series of refactorings, and it struck me just how clear the whole thing was. I’ve only had an opportunity to use the technique once, and it certainly worked better than the usual walkthrough. The interview also points out that patterns in general are an excellent way to learn about OO principles like polymorphism and the other usual suspects. As I’ve written here before, principles and patterns go hand-in-hand. A well-considered set of patterns shows how to produce designs that adhere to a particular set of principles. We’ve traditionally taught principles and used examples to illustrate. That’s too much distance. Patterns are the missing link between principles and examples. Do not start immediately throwing patterns into a design, but use them as you go and understand more of the problem. Because of this I really like to use patterns after the fact, refactoring to patterns. Again, I think this has been a surprising aspect of patterns. 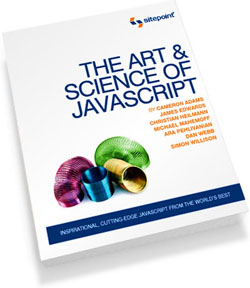 It follows from the popularity of refactoring and TDD and feature-driven design. Didn’t Kent Beck say something like “Get it working, then get it right”. With much less big upfront design, it only makes sense that patterns are used on a pull basis. 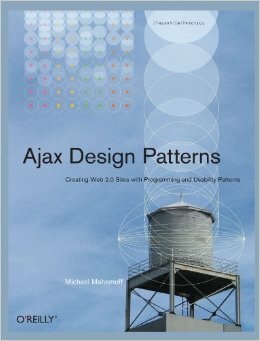 Now that we have the “AJAX” label, what do we call the non-AJAX “dynamic websites” or “web applications”? Ever since I was a wee programmer, I’ve been reminded that good code has a lot of comments … The trouble is, I can’t ever remember being taught this important lesson: Learning to remove a comment can lead to improvements in the code … It turns out that good code actually needs fewer comments than does bad code. I too think this is usually worthwhile, although by no means should it be necessary for all classes. There’s definitely a place for this stuff, and the aim of self-documenting shouldn’t lead to people feeling bad about commenting on this stuff. Again, it’s interesting that this is actually the most useful type of comment to have, but many people don’t like including it because it seems wrong to have a comment like “this is confusing, but we’re still waiting on an answer from the client”. That’s the same kind of thinking that vendor-written manuals often adopt – even though the product is faulty, they’ll ignore any problems and make users feel bad that they can’t work things out. As with the gotchas, it’s worth having this, and it’s much better when it’s in the code and you can read, update, and search for it. And, likewise, pointers to patterns. That’s the power of patterns: mention a couple of names and you can get a quick boost in understandability. to be sure, it can still be reduced by careful design: there’s no need to say you used the Proxy pattern if you’re class is called “CalculatorProxy”, and there’s no need to say you used Factory Method if your Car class is “Car createFastCar()”. In the previous entry on AJAX and server-side crypto, I alluded to progressive enhancement. Naturally enough, people have been discussing progressive enhancement wrt AJAX , and at least some AJAX applications will doubtless apply this notion. For instance, a form might be validated in real-time on the server-side if possible, but if not, it will be validated upon submit. There’s a timely crossover with browser plugins, though. Just as AJAX is heating up, so too is work on powerful plugins like GreaseMonkey. And that’s relevant because there’s an opportunity to ultra-enhance AJAX applications. Progressive enhancement is often more about graceful degradation from the standard case, e.g. users with older browsers or smaller devices. But the principle can work in the opposite direction too: you can use a browser plugin to enhance an existing application. I’m talking here about application-specific plugins. The web application works without the plugin, but the plugin progressively enhances the experience. It’s already happening. This Firefox wikipedia extension adds a toolbar to make the browser feel more like a word-processor (each to their own). Likewise, the Bloglines toolkit enhances the Bloglines experience. With extensions like these, AJAX applications become the middle-ground of richness: boring old HTML on the left side, and virtually a desktop experience on the right. Office apps, backup, calendars – trying to store it online was all the rage of the mid-90s. By 2000, we would be hopping on our flying scooters and whizzing past the great data cloud in the sky. Well, it was nice to dream. Options for rich clients – like Java applets and downloadable applications – were never feasible for a range of reasons, meaning that web applications became the only realistic choice. But web applications gave a lousy user experience and were hampered by portability issues. Trusting the host. Are you crazy? You want me to store my prized data on someone else’s box? Well, AJAX is a big step towards rich clients, and what we’re seeing now will only get better with emerging patterns and frameworks. GMail and Backpack and the thousands of wikis are all examples of web applications with important data being stored server-side. But right now, you have to trust the host with your data. Feasible in some cases, but it would be ideal if data could be encrypted server-side. So a big challenge right now is to work out how web applications can deal with encrypted data. There’s also some further discussion about how practical this idea is. Having to type your password in each session is certainly an issue, but not a showstopper in my view, at least not for techie users. The reason is because of browser plugins. As Richard mentions, it could be solved on Firefox with a GreaseMonkey script. The reality is, it could be solved on IE too with the right plugin. So this is an example of progressive enhancement. You can type your passphrase in if you need to, but install this plugin to avoid it. The Aussie White Pages Lookup requires you to indicate the state (from eight choices) you’re searching for. Most foreign language dictionaries require you to say which direction you’re translating in, even though you might end up switching frequently. The Yahoo translater shows how it should be done – a single form where you can enter a word in English or Spanish. Qualifying might be useful as an option to help reduce results, but shouldn’t be mandatory. In many cases, there is only one answer without qualifying, so why force the user to specify a qualifier when it’s not needed? On the bright side, Google, for instance, will offer News results when you perform a regular search. Theer were rumours a while ago it was occasionally providing images too. I think this is a good move, and they could go further. As long as it’s clear which are the results you specifically searched for, why not show results for several categories. Likewise, you rarely have to qualify searches on Amazon. You just search for a term like “Pulp Fiction” without wasting any time telling Amazon what kind of product you’re looking for. Now, you might say performance improves when users qualify things – you have an extra constraint to your “WHERE” clause. It’s true, but let’s face it: Do you really think that’s the reason this design faux pas occurs? Experience and the fact that it probably wouldn’t make much difference would suggest the design has simply not been taken that seriously. Even if performance were considered, the only relevant measure is how quickly users can perform their tasks, and this would probably improve overall even if the CPU was doing more work. And there would be less incorrect queries if users weren’t forced to specify the information. This problem occurs due to tech-driven, rather than user-driven design. Instead of looking at the user’s task, the designers have focused only on the database schema. A pat on the head is in order from the DBA, while the user hits the “X” icon.